Who is Noir Style Africa and where are you from. 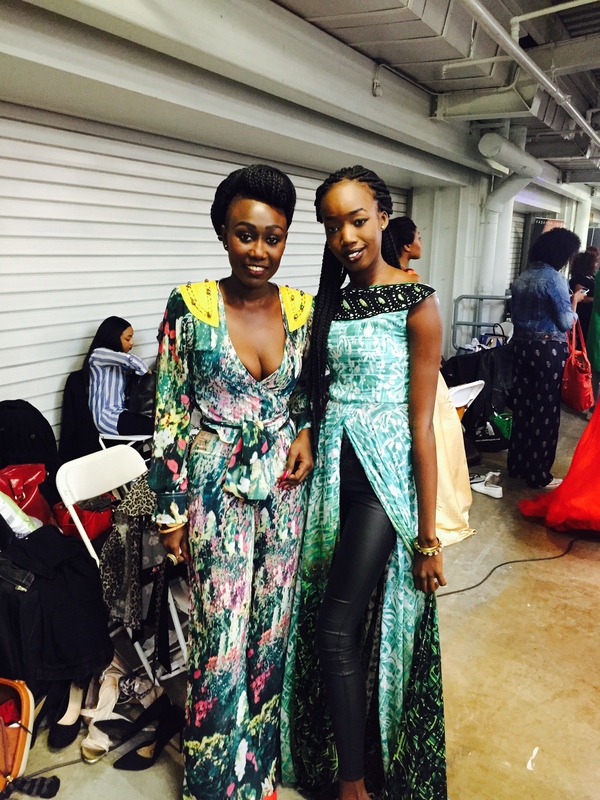 How did you get involved with Noir Style Africa and fashion? It is actually just Noir; we have to put the style in the Africa, because there are so many Noirs out there. It is quite a name that everybody likes. We decided to use Noir Style Africa to differentiate the brand from other existing ‘Noirs’. I am from Gambia and I have always been into fashion my entire life. It has been my passion; my mum is a fashion designer. She makes traditional wear, Gambian traditional wear. I grew up observing my mother doing her thing. I started designing five years ago (2010) and I had another brand called Hahatai – It means laughter in Wolof. It was a fun and happy time for experimentation a time of discovery and self-awareness, I thought, oh I could really do this. First and foremost my mother, being around her and seeing what she does, respecting what she does and liking it. Second thing it is my calling. It comes naturally to me, thinking, being and looking different from my peers. From age 18, I would grab my Dad’s shirt, tie neckties around my waist, tie-dye one of his work shirts and do something creative and come up with a unique style and outfit. I would roll up at a school disco dressed differently and feeling very comfortable in my outfit. I took serious exceptions to the fashion norms as a teenager, especially the ‘side-skirt’ that everyone was wearing. What route did you take to enhance your interest in terms of education. Did you have experience working in this industry in Europe? I studied politics and languages degree at the University of Liverpool (Gambian and African parents place emphasis on further education), unrelated to fashion. In the UK, I noticed that people really express their individuality through what they wear and style. Everybody has his or her own unique style, it was unlike my years in boarding school, where I was definitely weirdo, and wearing something that everybody wasn’t. I also went to live in Mexico for a year. While in Mexico, I was able to see life from a different perspective. I am a child of many nations, ever since I was a little girl; my family and I have lived in many places. I have lived in Togo, Mali, Liverpool, Mexico, London and New York. Living and working in fashion industry in NYC was eye opening, I was awaken to the fact that I am equally as good and talented as my colleagues. I had to believe in my abilities and be self-determined. When I turned 30, my impetus was, I am never working for anyone else but myself. What process do you love most about being a fashion designer? The process is long the first stage is inspiration and this is my favourite part. Sometimes I look at something and say that is amazing. If I can do this and I did that and switched it around and used it as base and it may create this and that would be nice. When I am at that stage, it is very hard to explain to anyone what it is going to be. That is why it is so amazing; I have to control my excitement. Because no matter how much I try to explain to someone, they just never get it. Do you source your fabric from Africa? Yes at the moment I source my fabrics from Africa. Essentially mostly from Senegal, Cote d’Ivoire, Mali, Gambia and elsewhere on the continent. I think since I’m producing in Gambia at the moment, I could only use what is available in this market. 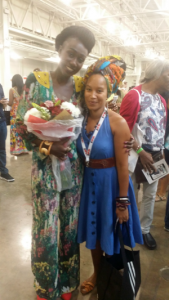 For AFWL, all the material fabric was bought from the same shop in the Gambia. I went in there, didn’t look at any prints, I needed plan good quality material, so that I can put my technique on it and that’s what I did. Have you tried breaking into mainstream. If yes how has the transition been? To be honest I think I am mainstream already. My stuff can appeal to a broad audience; it’s not feathers here or big white fluorescent circles there. My goal is to create a look, recognisable brand that people can easily associate with Ndeyfatou. To achieve this, depending on what collection I am going for, my aim is always to work with the best materials; if I want to work with lycra, then i would go to Dubai; it would be Mali for batik and Ghana for Kente; in the end it is the product, creativity and result that really matters. How old is Noir. And what advice would you give to a budding fashion designer? It is still early days for noir. Noir is under a year old, newly formed fashion brand. In that short amount of time a lot has happened. It is because I am completely and utterly devoted to it. Less than a year of being in business, we have opened AFWL and part of Gambian Fashion Week last December. This is basically the level and commitment for budding fashion designers or people in other fields should aspire to. Do not be afraid and do not let the public dictate your creativity. Be limitless and believe in your abilities – many people will not share your vision or understand it, simply show them through your efforts, determination and creations. Where can we purchase your beautiful creations? Right now we are not selling online yet. We are trying to set up a good shipping policy and going through the logistics. We are thinking of bulk shipping stock to the UK and then distributing our products from there. Soon, when you make an online purchase due to necessities of quick delivery times, you’ll get it from the UK – equally returns policies will be dealt with swiftly. Of course we have to register the business in the UK, so that is why our online sales hasn’t started yet. Unfortunately, the logistics in Gambia in terms of Noir’s ambitions of being an exporting brand is not yet that reliable. Tell us about the fashion industry in Gambia. Which Gambian fashion designers or artist that inspires you? Gambia is blessed with lots of talented fashion designers. Brands such as Phzion, she does amazing bridal wear, it is very classy stuff. Lilio Designs, I love her stuff, and she is very talented girl. There is also Zizar Creations and several more; I often collaborate with them on fashion projects. Noir is using the African elephant as branding. Can you tell us why the elephant? The elephant has been a very old friend. The name could change tomorrow, but the elephant will always stay. The elephant is everything to this brand. It may sound very ridiculous, but it is the embodiment of what Noir is, the elephants is a mighty animal but also a gentle soul. In some African cultures, it is believed that the elephant holds the key between heaven and earth. Elephants are some of the few animals that mourn their dead and they are very loving. It is a deity in Hindu, the god Ganesh is the god of wealth. When I was in NYC, I began to have dreams of these elephants. When I started Noir Style Africa, I thought it was an ideal time to bring along my friend the elephant; you can be powerful and kind. Ndeyfatou Ceesay – thank you very much for offering your time and doing this interview with African Postmark. We take this opportunity to wish you the very best in future, fashion, business and continued success with Noir Style Africa.